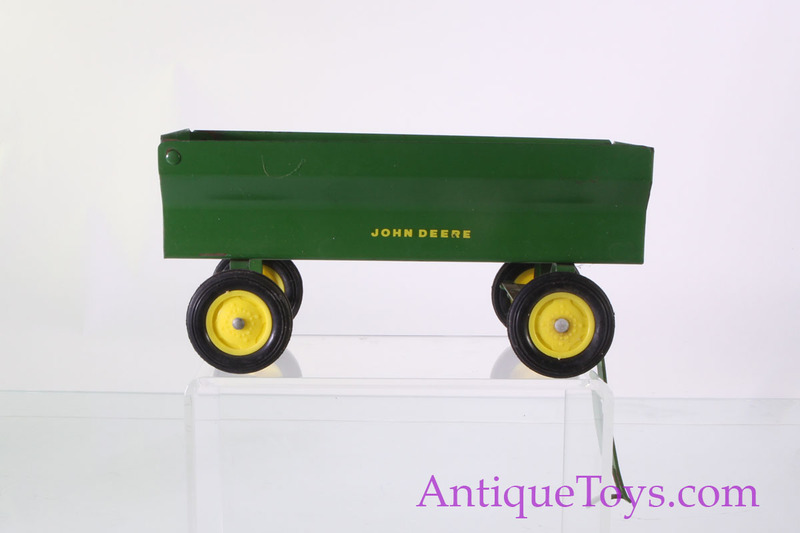 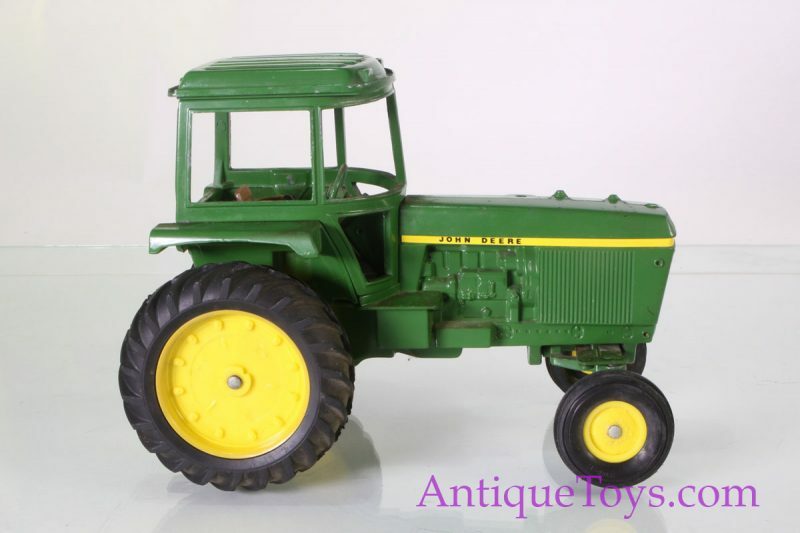 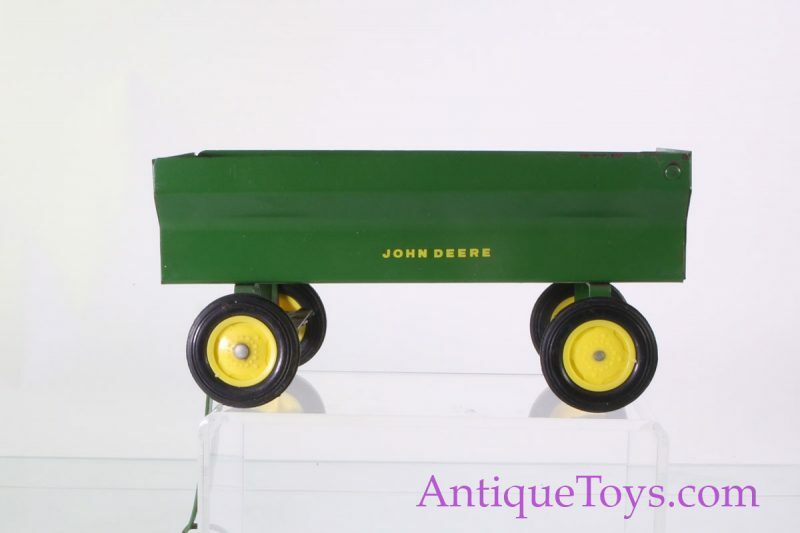 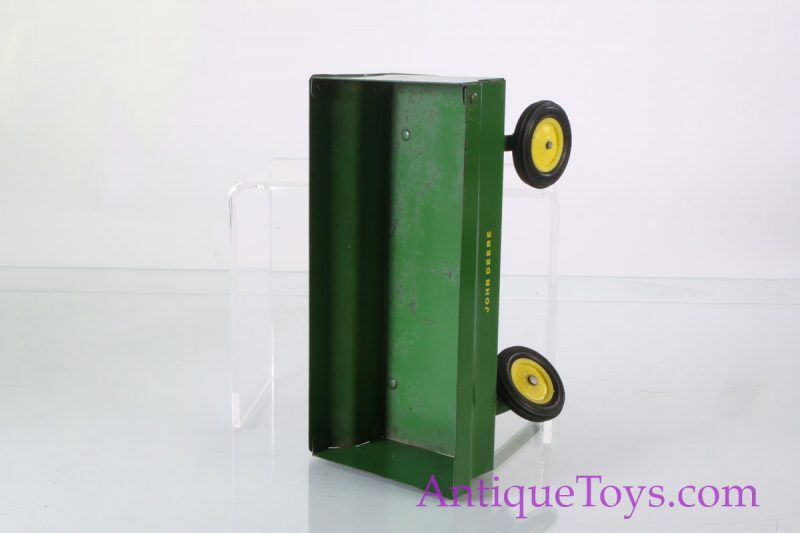 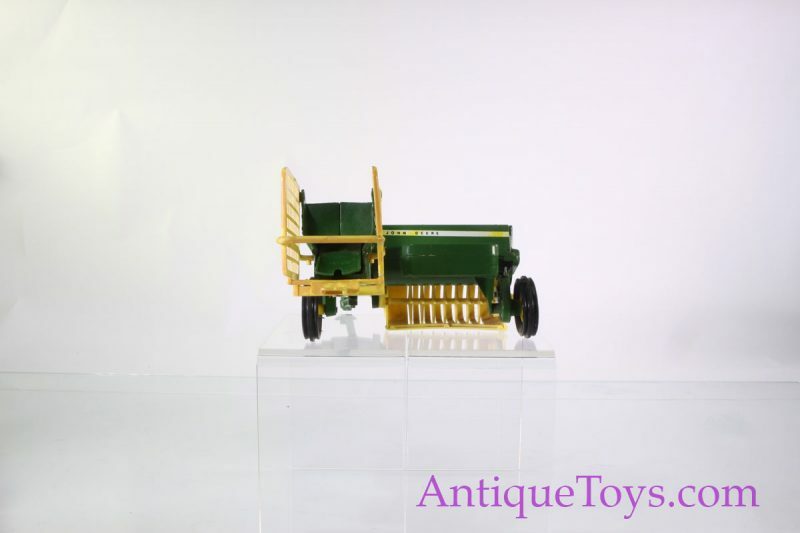 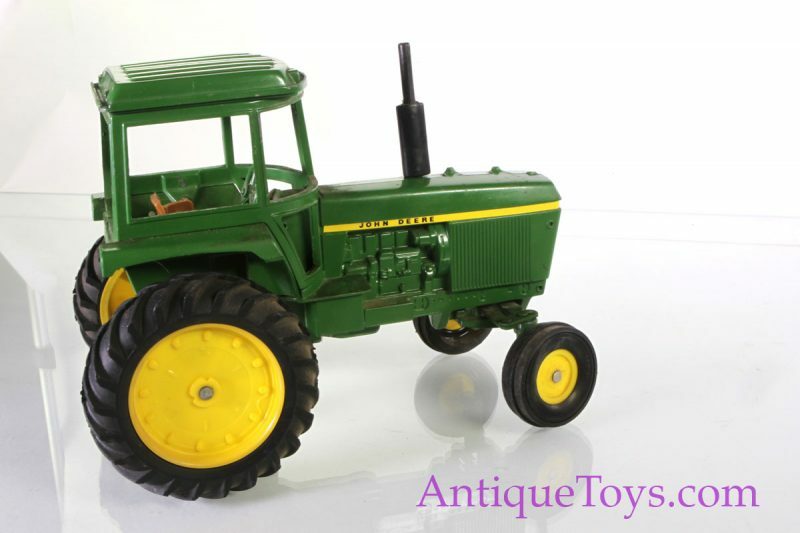 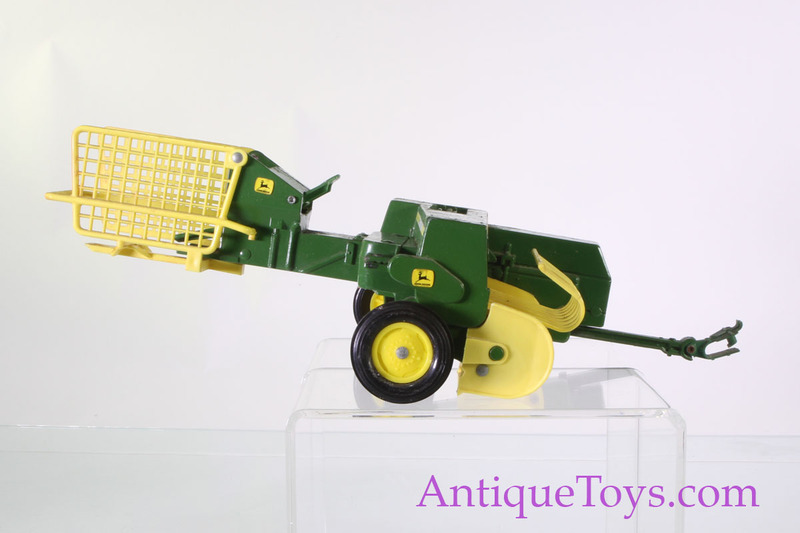 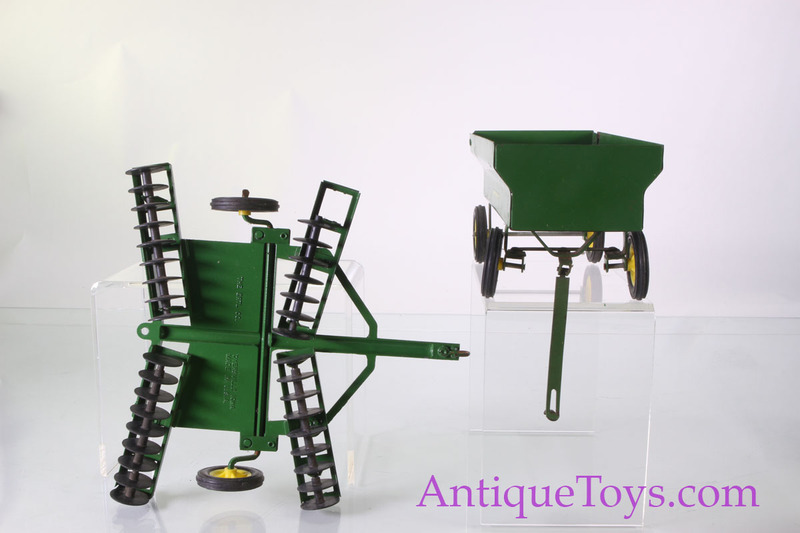 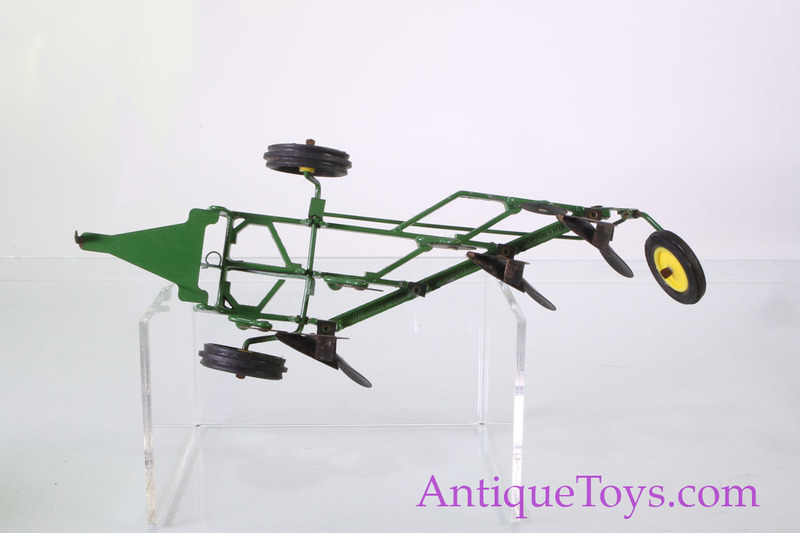 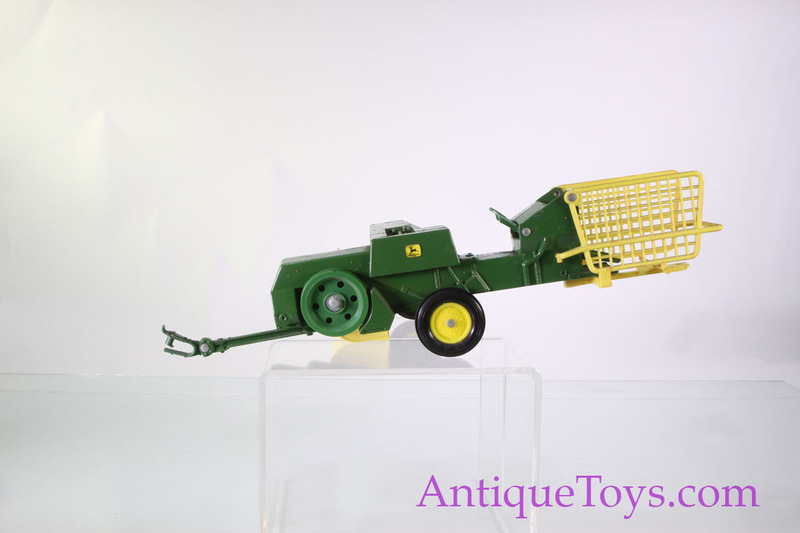 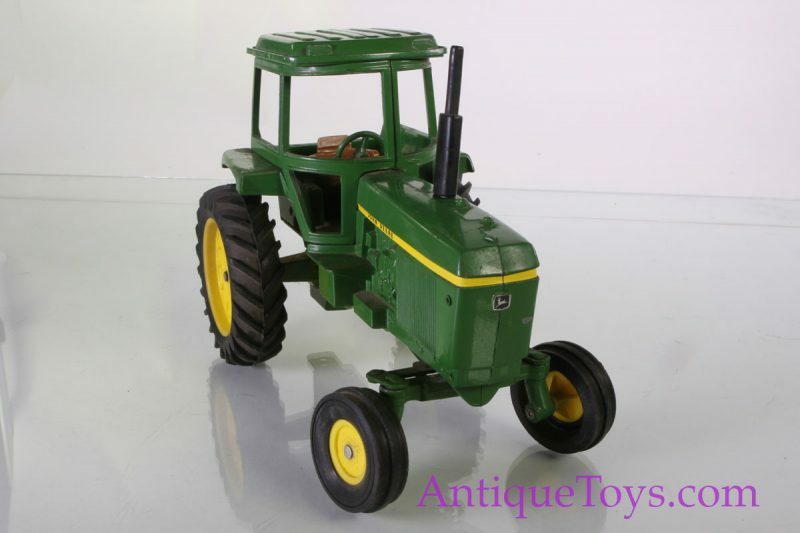 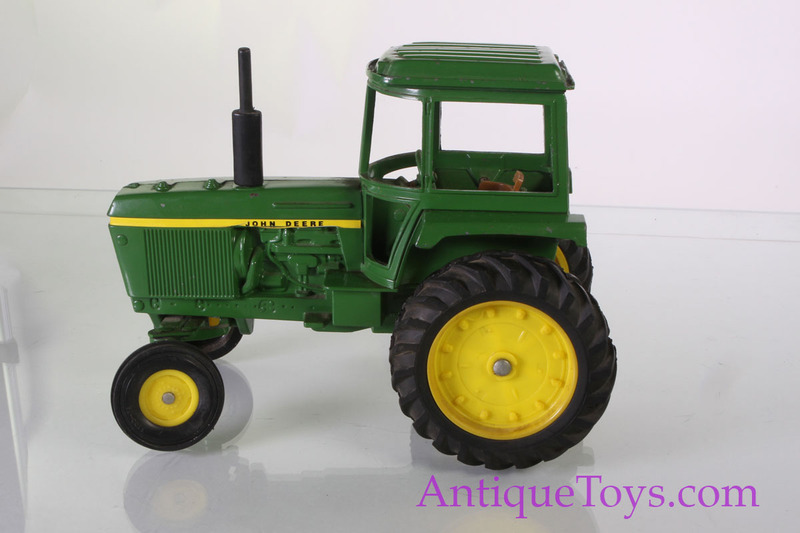 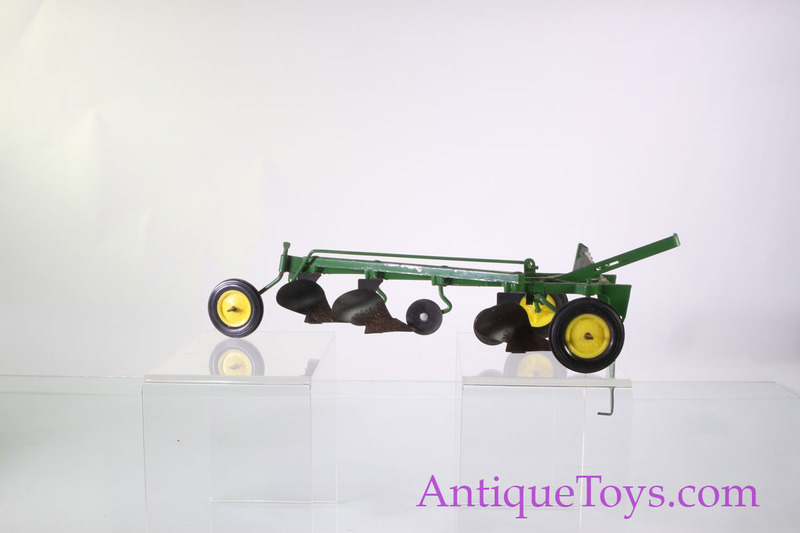 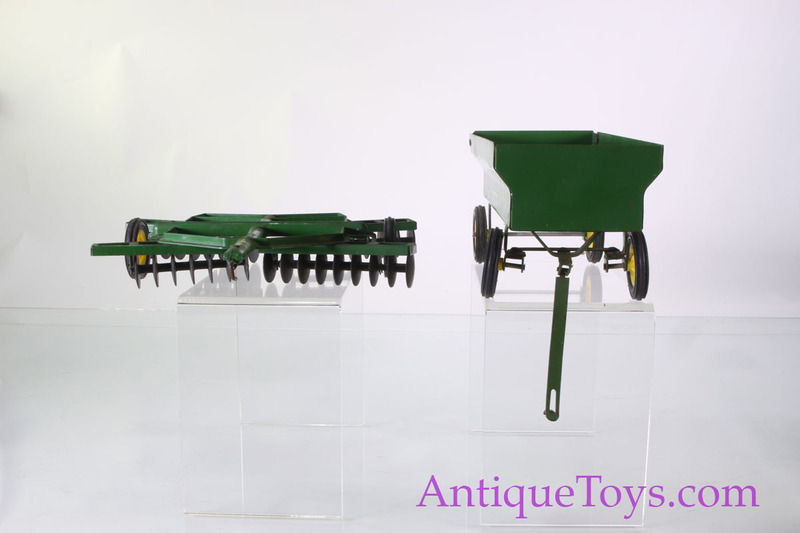 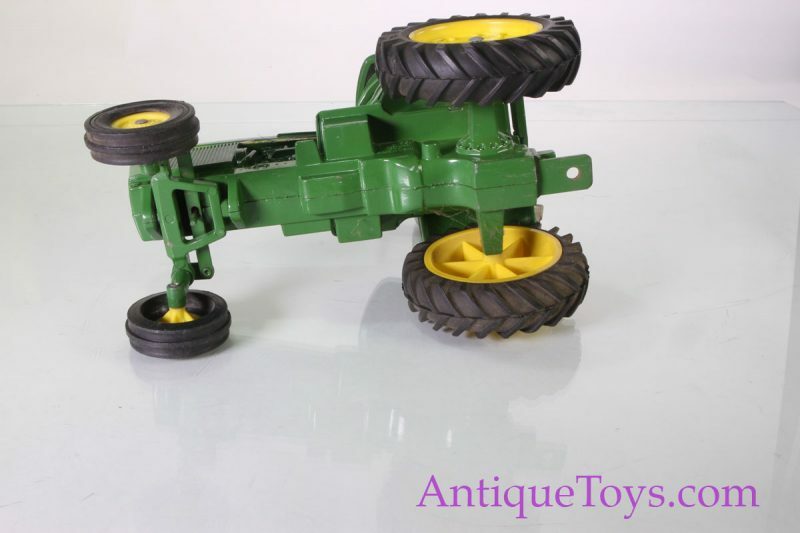 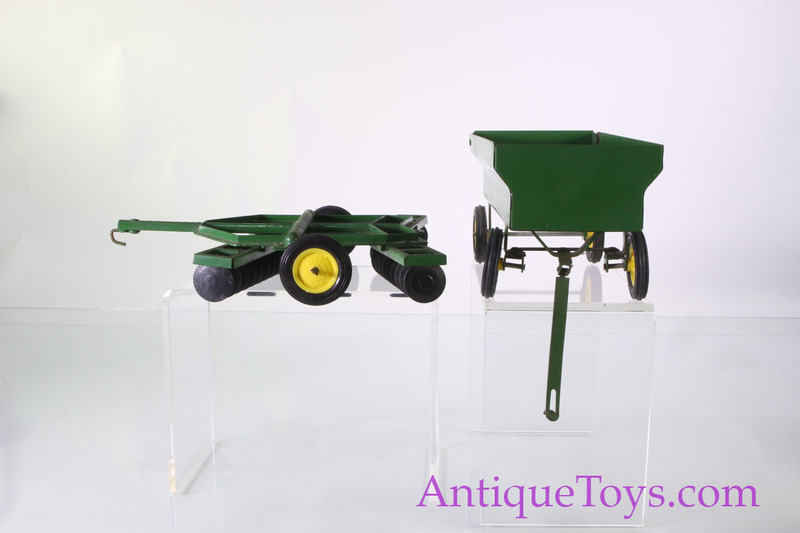 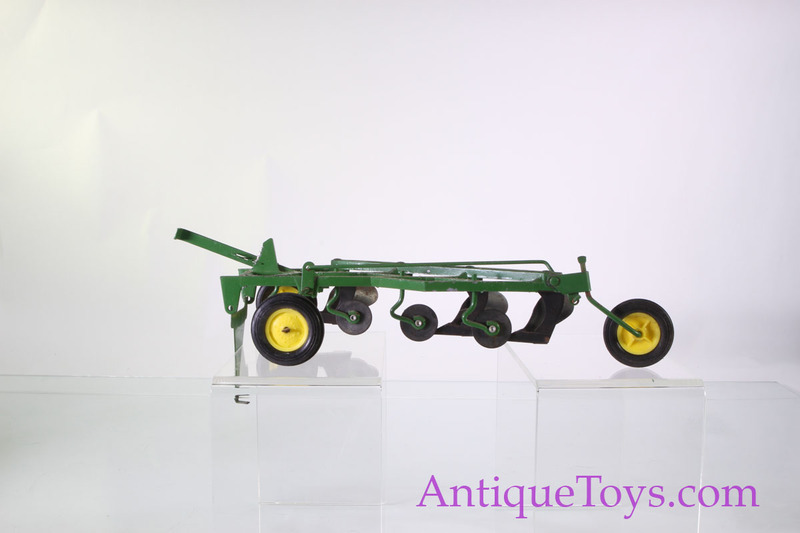 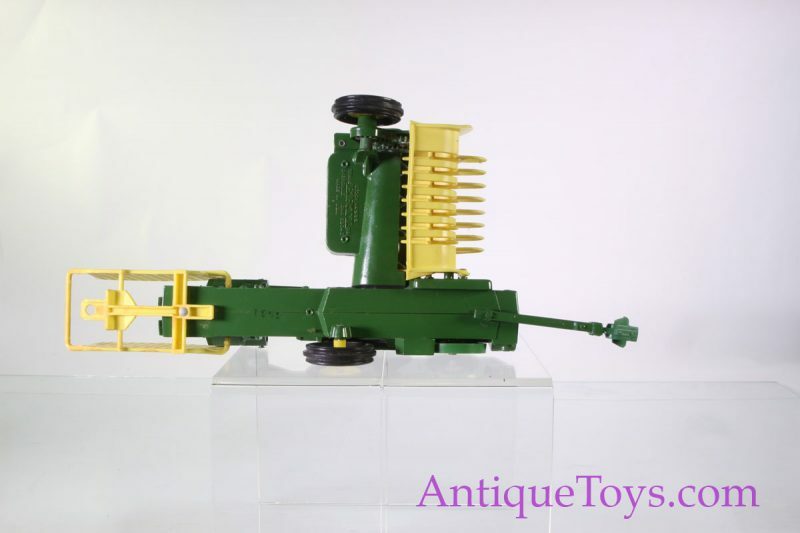 Our John Deere set by Ertl has a gem of a V-plow along with original condition accessories and tractor. 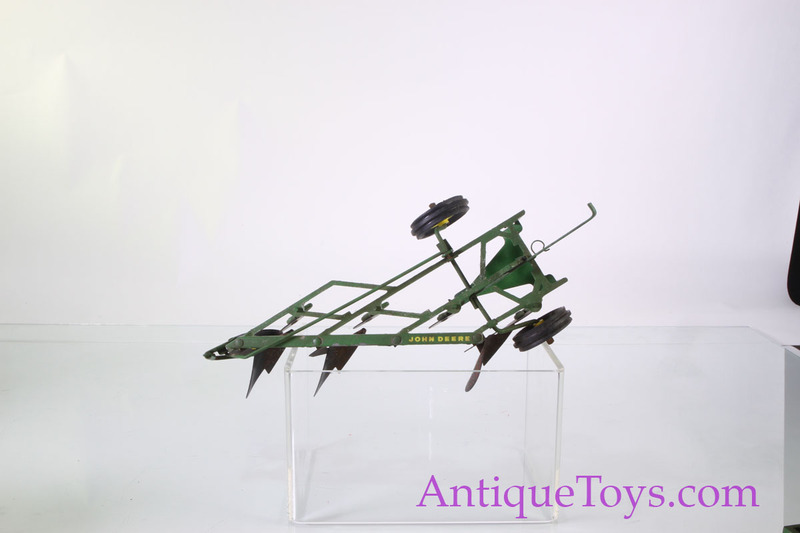 The Plow is missing one V but is considered one of the most sought after mid century accessories. 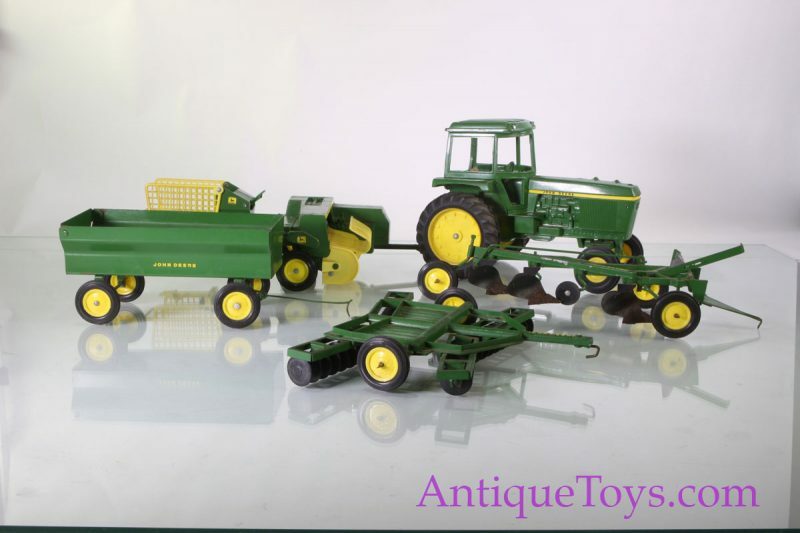 Condition of the entire set is used, dusty, and with light chipping as shown. 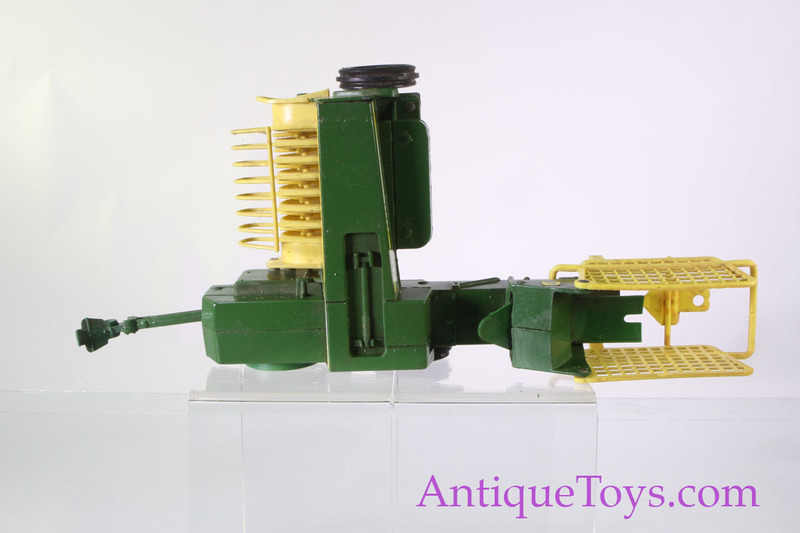 The rubber smokestack broke off but can be placed in place with a metal pin.